The Dot is constructed of premium laminated maple with a mahogany center block and a hand-fitted, glued-in 24.75” scale mahogany neck. 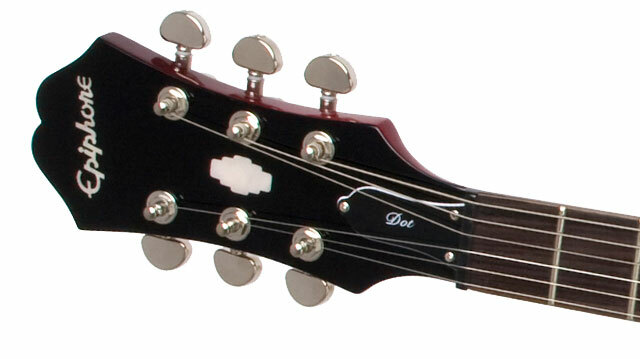 Other details include a rosewood fingerboard with traditional "Dot" inlay, a 1.68" nut, a SlimTaper™ “D” profile, and the traditional Sloped Dovewing Epiphone headstock. The Dot includes Epiphone’s all nickel hardware including premium 18:1 ratio Grover® machine heads for superior tuning stability and accuracy along with Epiphone’s exclusive LockTone™ locking Tune-o-matic bridge and Stopbar tailpiece for great sustain. 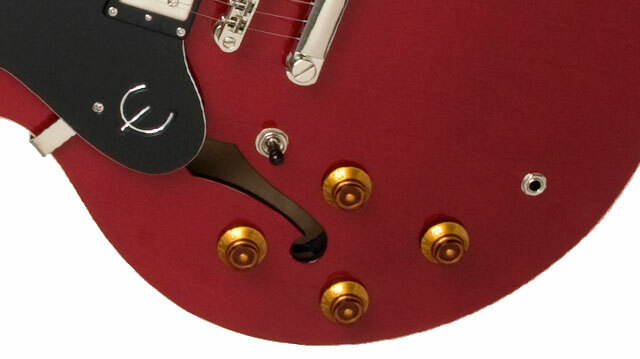 The Dot comes in four beautiful colors including Cherry (CH), ebony (EB), Natural (NA), and Vintage Sunburst (VS). 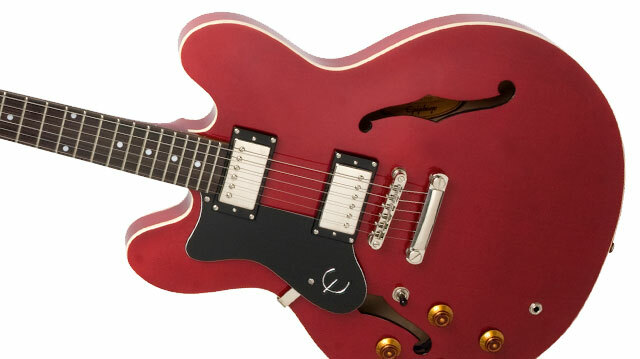 The left-handed model comes in Cherry.